Apple should release a trio of new iPhone models in 2019 and some of them are thought to feature a specialized polished coating that’s rumored to debut this spring on the next AirPods. This curious tidbit was mentioned briefly in last week’s report from a site called DroidShout detailing so-called iPhone 11, or the upcoming 2019 iPhone models. 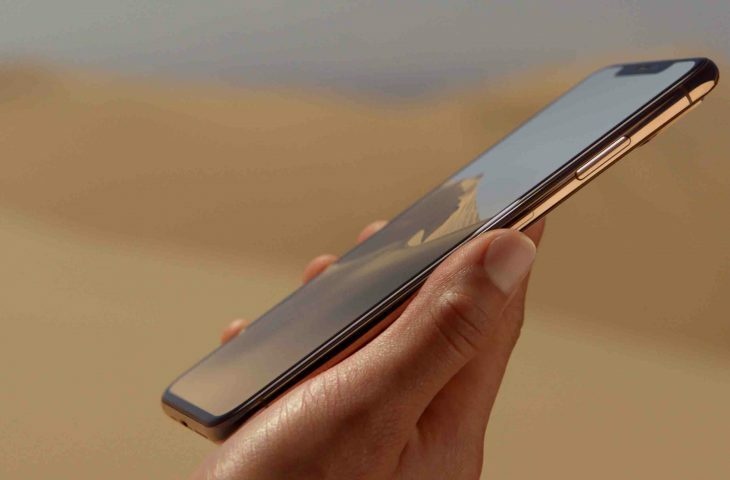 While the notch will not be going away this year, 2019 iPhones are likely to feature a polished coating to help improve grip as well as scratch resistance. In an earlier report this past weekend, an Indian technology website called MySmartPrice said it believed that the next AirPods due this spring would sport a special coating layer applied to the top of each earbud in order to improve in-ear grip. The coating apparently resembles the frosted glass look Google uses for the back of its Pixel smartphones, the site alleged. Assuming both of these reports are correct, then there’s a chance we might be seeing a similar grip-inclined coating applied to other portable Apple products in the near future. DroidShout’s source has added that 2019 iPhones could make a rumored switch to USB-C, but we’ve heard that story before. Besides, the reliable Japanese blog Mac Otakara said today that this year’s iPhones will keep Apple’s proprietary Lightning connector after all and ship with the same old five-watt charger and wired EarPods in the box. Approach these stories with healthy skepticism because we have yet to see a more substantiated report about this specialized coating or have other sources corroborate DroidShout’s report. Also, the site lacks an established track record for Apple rumor reporting.